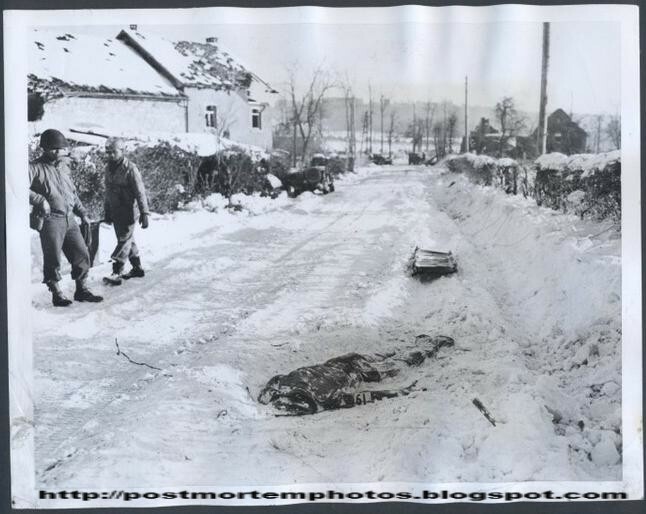 The snow covered body of a fallen American Soldier in WWII. 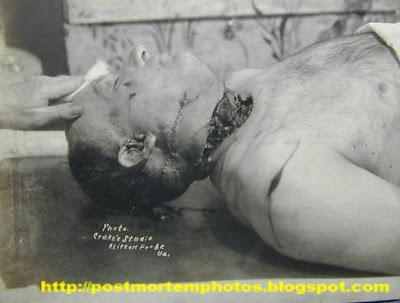 Murder Victim. 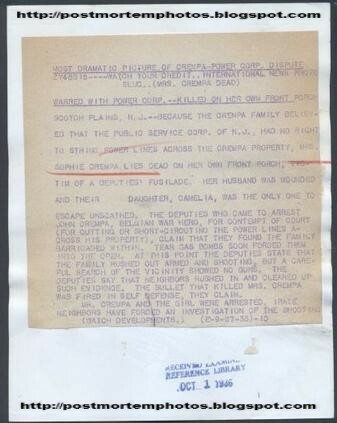 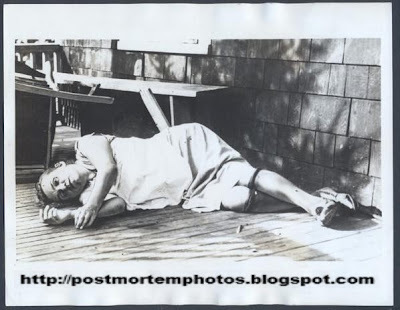 Murdered on her own front porch in Scotch Plains, NJ! 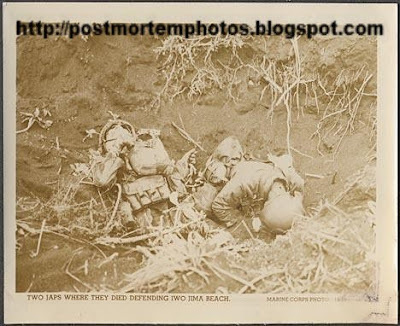 A rare find! 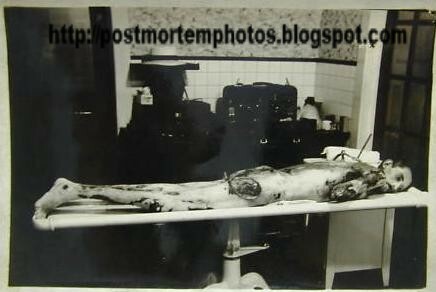 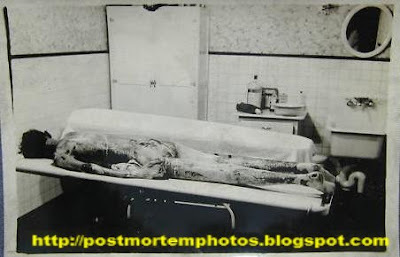 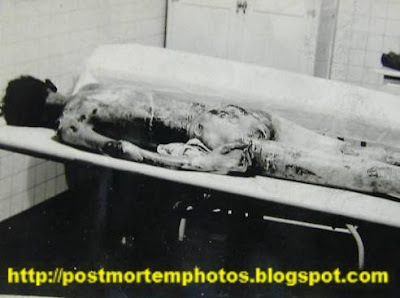 Autopsy photos from the 1930's! 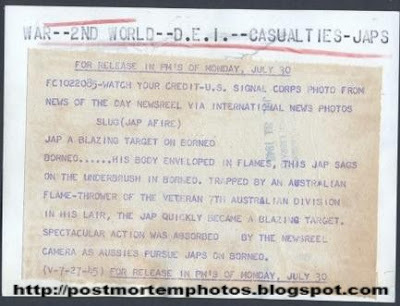 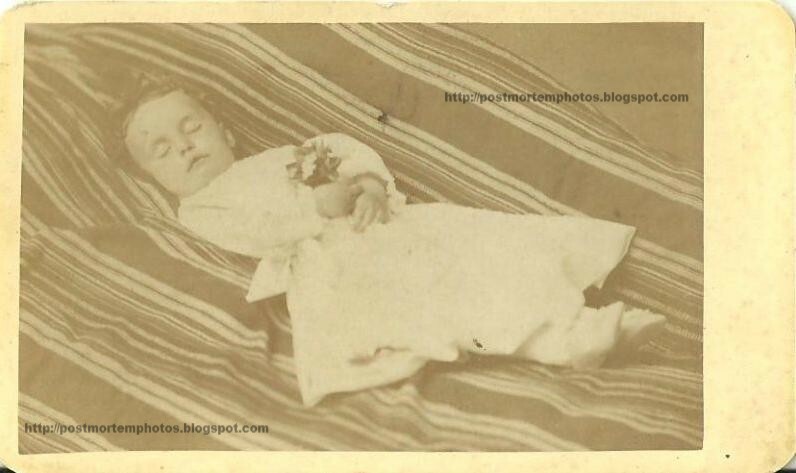 Unknown location, name & cause of death. 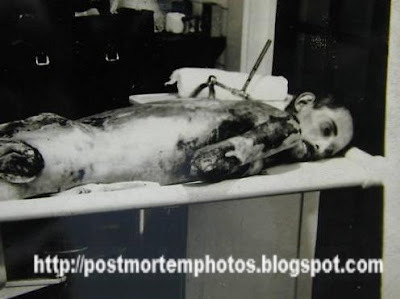 While focusing on his face, am I the only one who thinks he may be a little malnourished? That's Paris, IL. Poor, sad little boy? 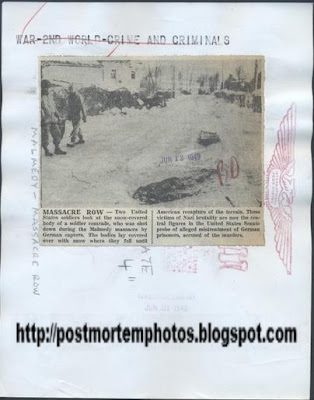 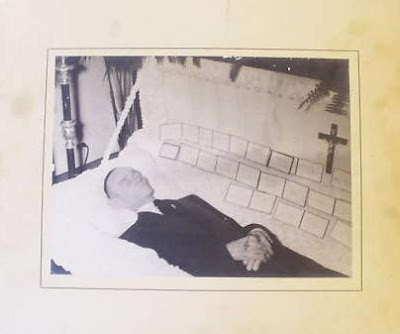 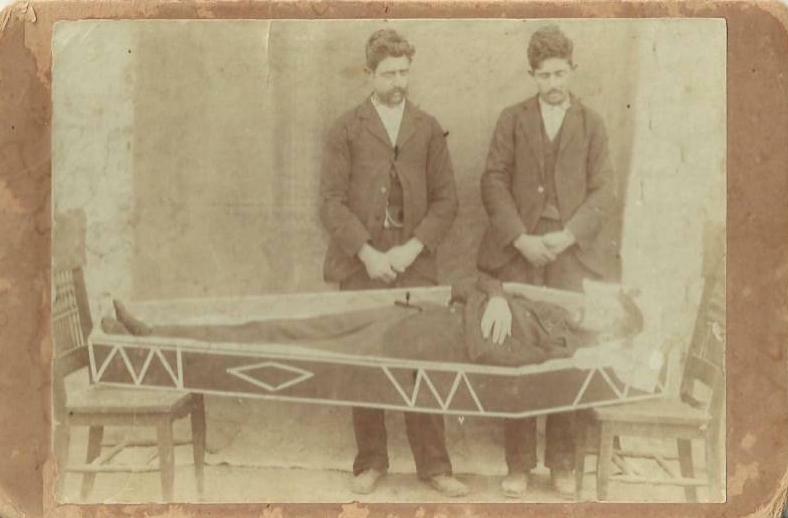 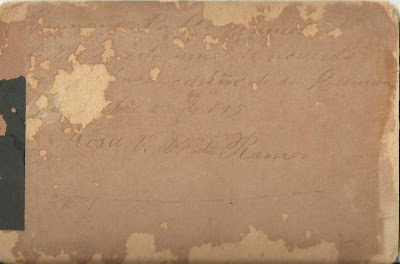 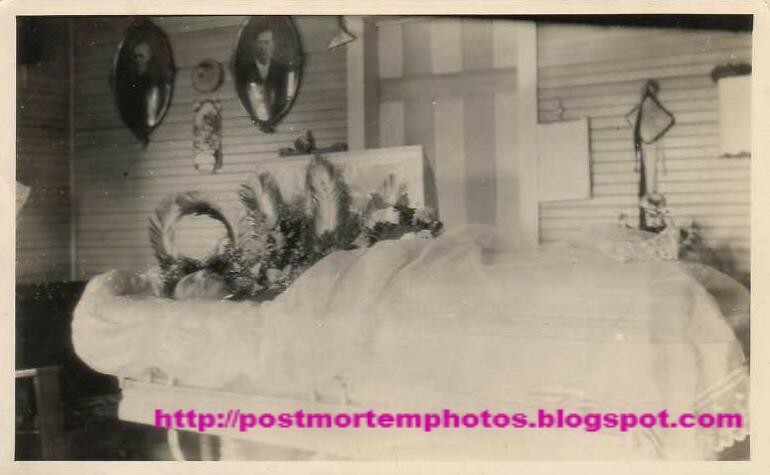 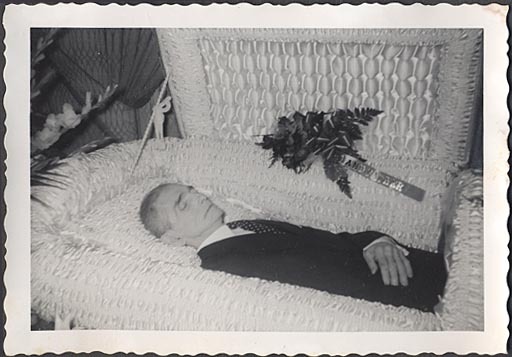 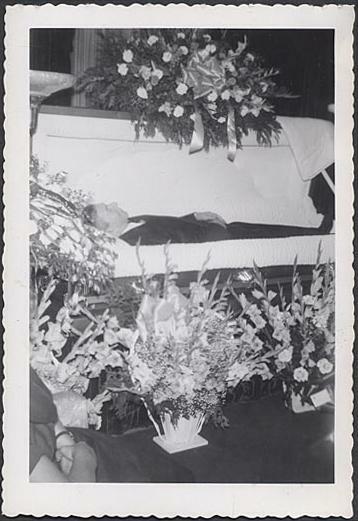 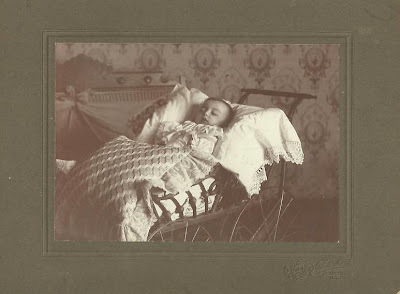 Here is a post mortem photo of a little boy from Wisconsin laying in his coffin at his wake. Photo is from the early 1900's. 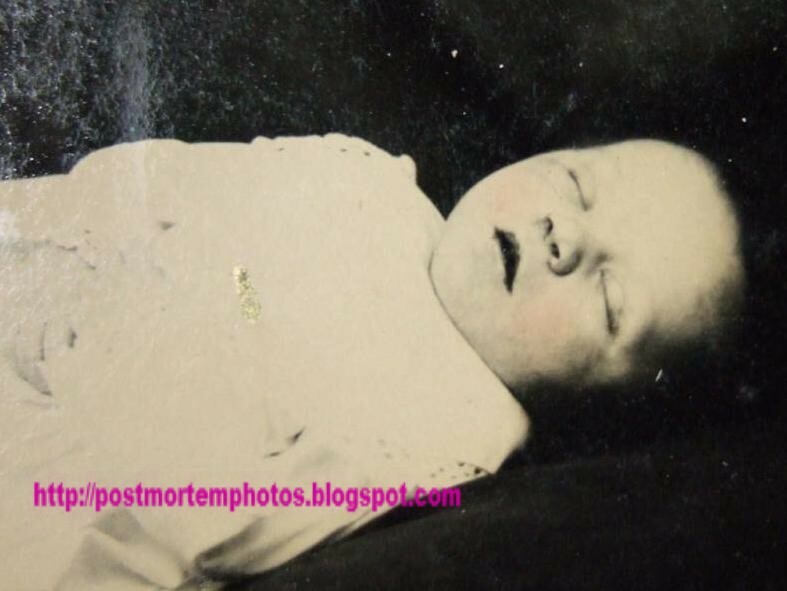 Very beautiful little baby dead in a carriage. Photo is approximately from 1885 to 1895. 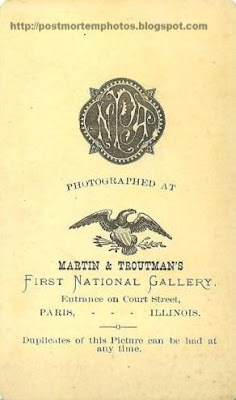 Photographer is "Thick" & photo is from Illinois. 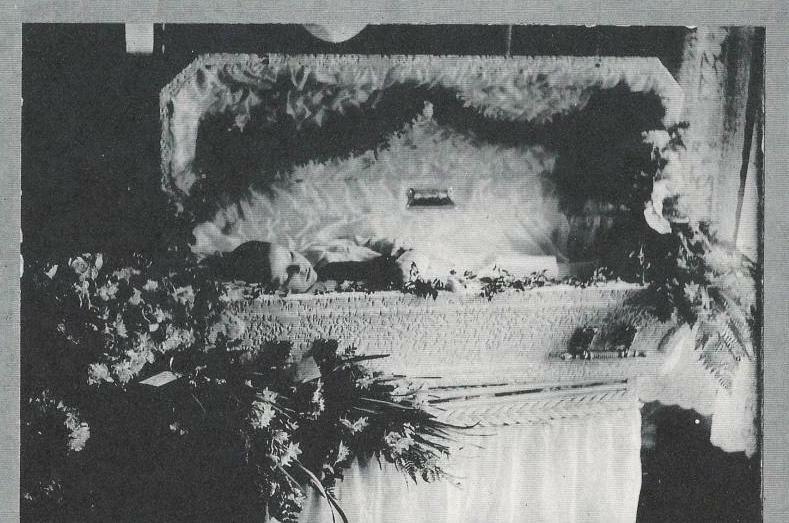 A probable mother & father at a dead infants wake. Photo is from 1905 & was taken in Trenton, New Jersey. 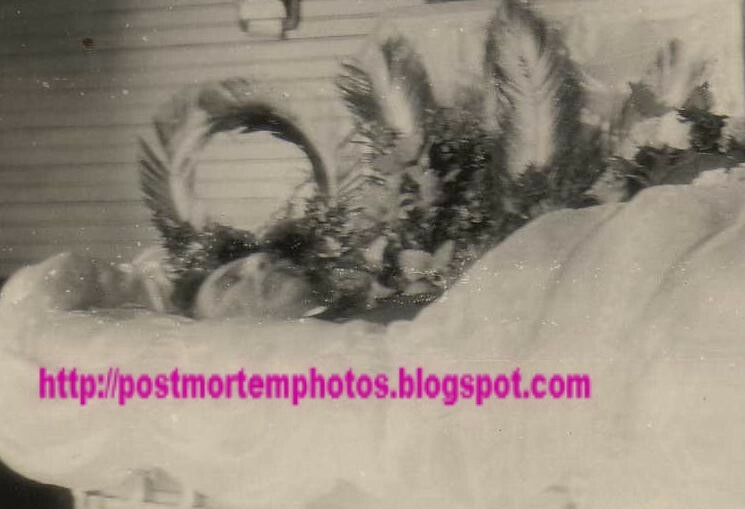 Nothing known about the man or photo, except that he is dead & in a casket surrounded by flowers, which you can obviously see. 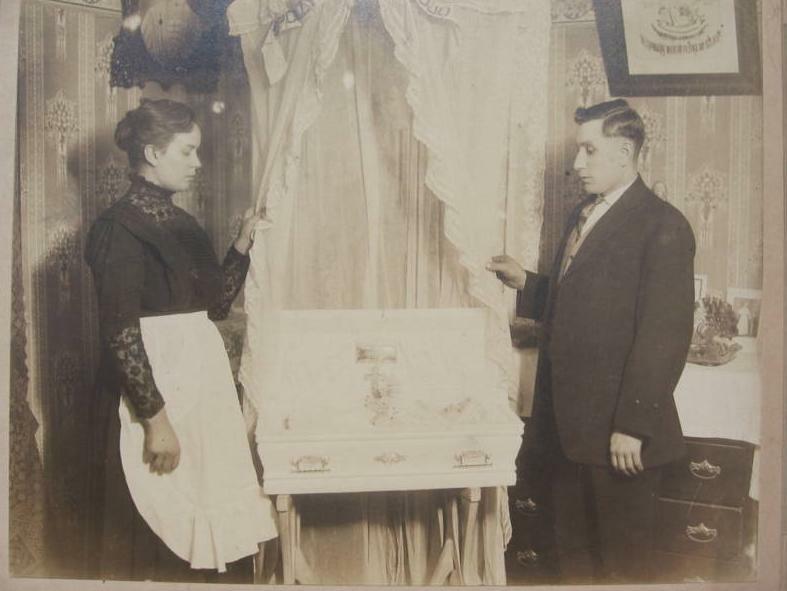 Two Spanish brothers stand beside another mans casket in Mexico. Photo dated 1895. 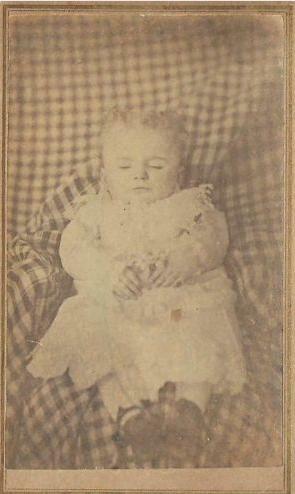 Baby post mortem photo from 1870's. Photo is from USA. 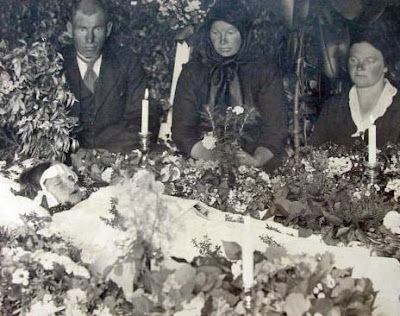 Young child in a casket surrounded by family & friends at her wake. 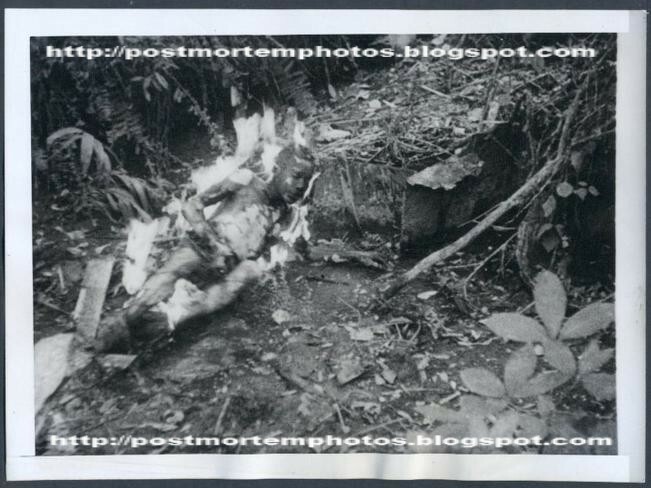 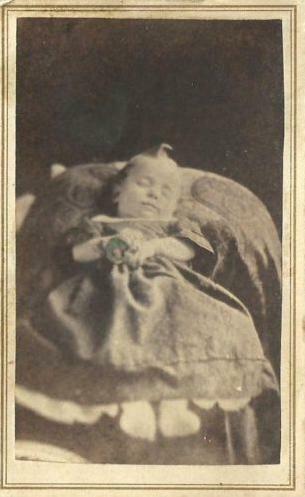 Post mortem photo of young girl. 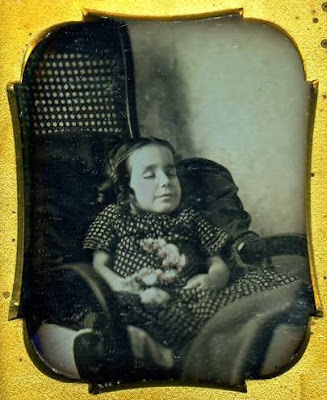 She has been placed sitting upright in a rocking chair with a small bouquet of flowers for her last photograph. 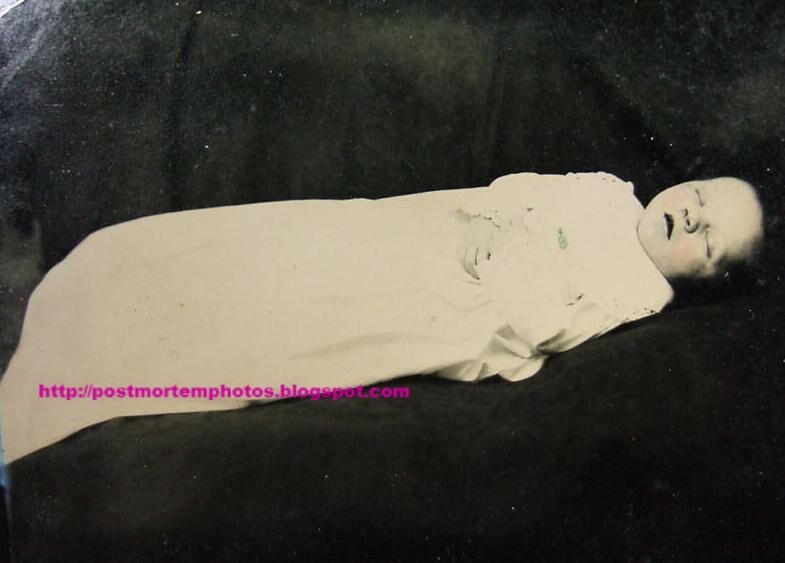 She does look quite abnormal, like she has a small or no neck at all. 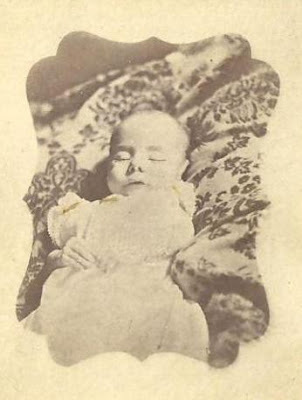 Post mortem baby photo from the Civil War era (1860's). 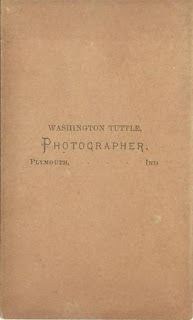 Photographer is J.V. Parker from Utica, NY.